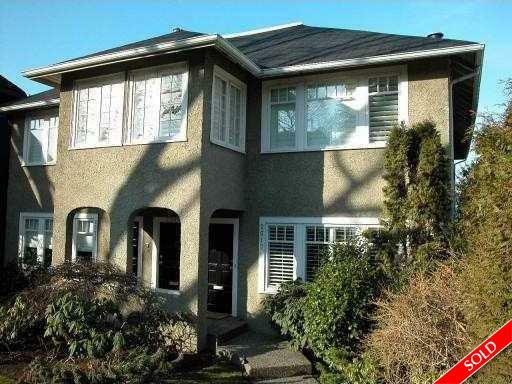 Description: Amazing 2 level, 2 bedroom townhome in Kitsilano. Rare, reverse plan, hardwood floors, open floor plan. Stainless appliances, concrete counters, french doors from dining room to deck with some mountain view. Three bathrooms, private garden off master bedroom. 1 parking, storage, beautifully maintained 12 year old Georgian conversion - walk to beach and shops along 4th Avenue. Easy to show.